No need to press the lid with all your strength. 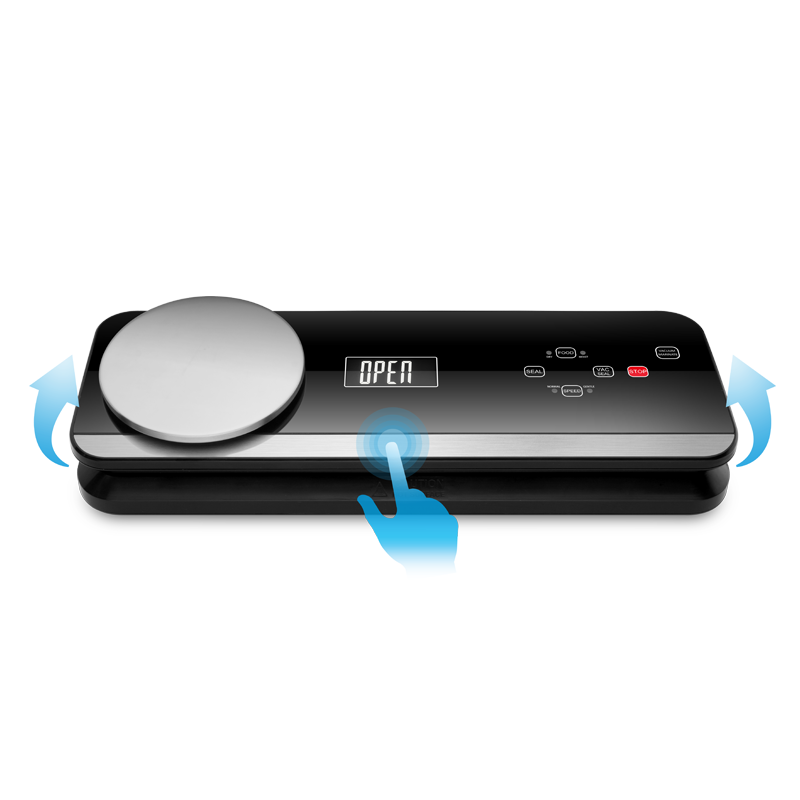 Simply touch the button, and the lid will open or close automatically. When the kitchen vacuum sealer finishes vacuuming and sealing, the lid will open of itself. 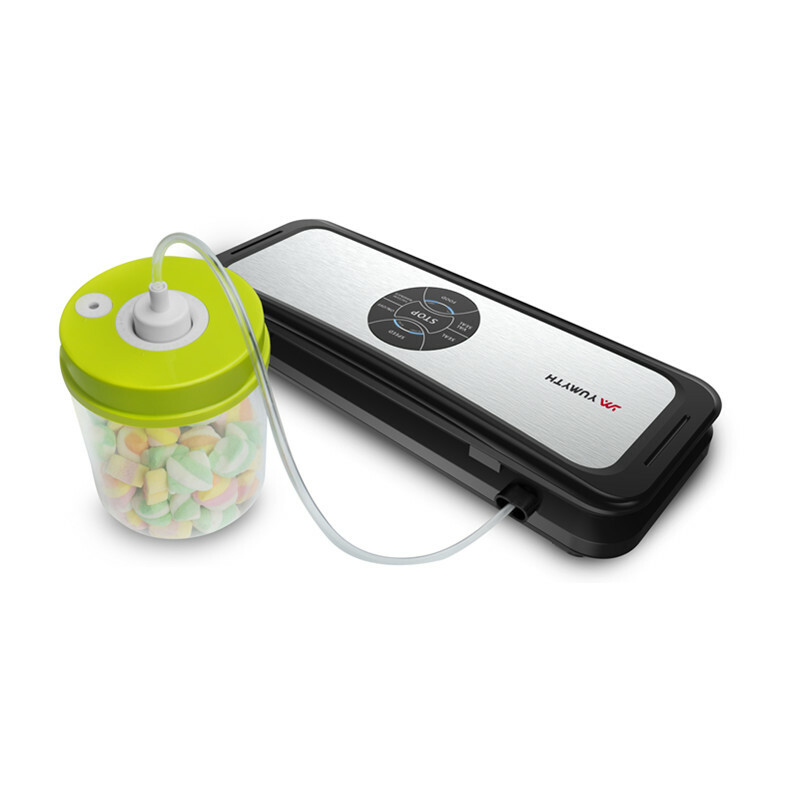 A removable digital kitchen scale is attached. Make sensible portions of your food and write calories or fat contents on the bags. Tare function. Mode button: g, kg, oz, lb. The digital scale is optional. Model VS6680S is without scale. Removable design, easy to clean. Remove the side pin to open the lid fully, and take out the drip tray for cleaning. The bag stopper functions to ensure that vacuum bag is kept from being put outside of the vacuum chamber. 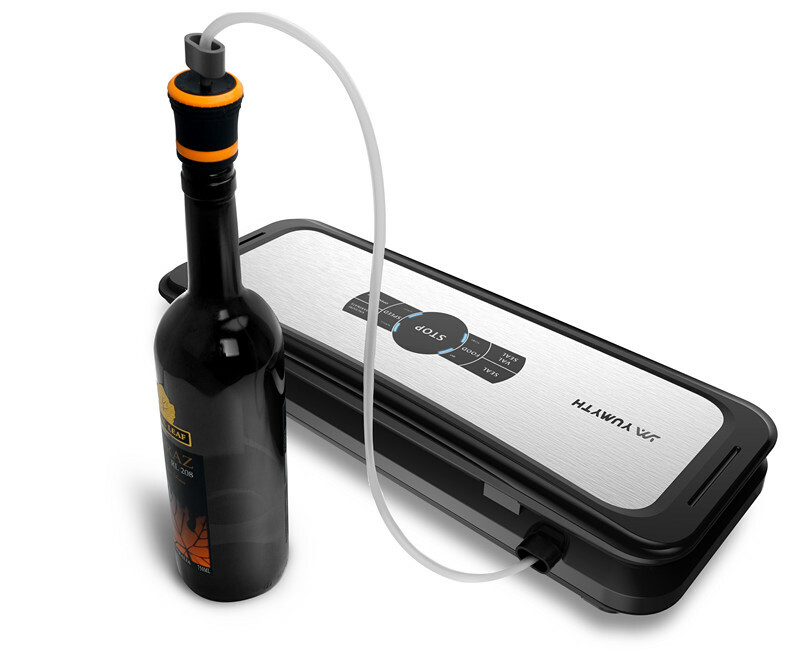 Display the working state of the kitchen vacuum sealer, safer and more convenient for user. NTC Thermistor, temperature sensor: Monitor the temperature of the kitchen vacuum machine. Protection mode will be activated automatically when the machine overheats , with light flashing and stop working. The appliance is back to normal working mode once it cools down and the lights stop flashing. Double pump with sound insulation, more powerful and low noise. 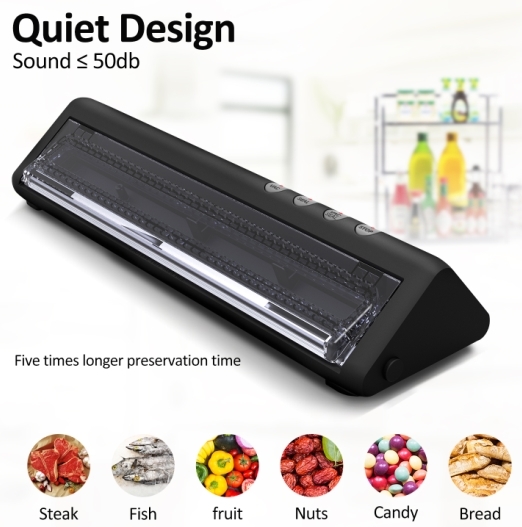 Kitchen vacuum sealer machines designed by Yumyth keeps your food fresh up to five times longer compared to other food storage methods and helps you save up to $2700 a year by buying food in bulk, purchasing on-sale food items, without worrying about food wastage. Cut bags into a desired size or open sealed bags. Please insert it into the bag cutter holder after use. 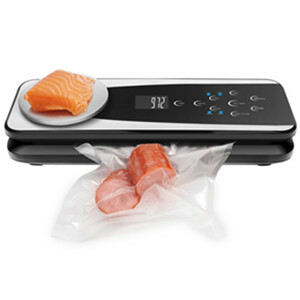 The vacuum sealing process opens the pores of the food, allowing the food to absorb the marinade more quickly. Kitchen vacuum sealing system can help you finish this process in minutes, no need to wait overnight. Easily replace and store. Different power cords are designed to cater for different voltage and plug. When vacuuming with canisters and bottle stoppers, the indicator lights will flash during the process. Seal a bag without vacuum. Sealing indicator light will be illuminated. It will automatically turn off when the sealing process is complete.